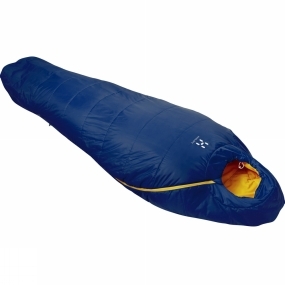 The Tarius -5 Regular Sleeping Bag has a normal mummy shape around the main body to give you space to move around while the hood and footbox are ergonomically shaped in order to keep you as warm as possible and reduce the chance of any drafts. The zip opens three quarters of the bag and at the shoulder it curves towards the hood opening to make it easier to open and close when you are in the bag. There is also an internal pocket to allow you to keep valuables safe and secure while you sleep.